New levels, new characters. For next-gen consoles (Xbox 360, Nintendo Wii, Sony PlayStation 3). 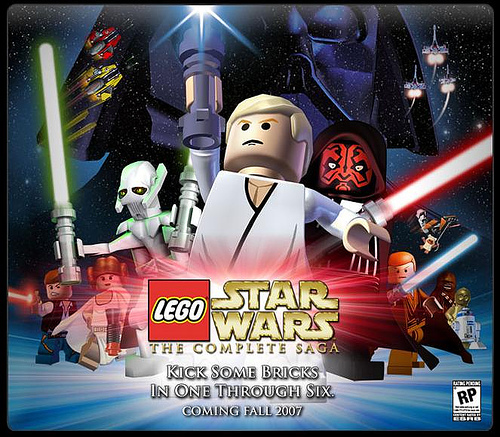 Does this mean that Lego Star Wars will be the first Wii game to use those lovely Wiimotes as lightsabers? Hope so. If they don’t release it to PC I will go all Anakin on their Sandpeople butts. And I shall go all Jabba on their Leia slavegirls. I hope it comes to PC too, might even upgrade my PC so I can play it too! !